Looming development reawakens a preservationist spirit. Rows of dutifully preserved photographs in the Stockyards Museum are all that remain from much of Fort Worth’s early days. Several images capture the enormity of the meatpacking industry at the turn of the last century. Spread over 100 acres, 2,600 pins once held cattle, hogs, and sheep in what are now large parking lots flanking both sides of East Exchange Avenue. The livestock was headed to either of two sprawling meatpacking plants: Swift and Company or Armour and Company. 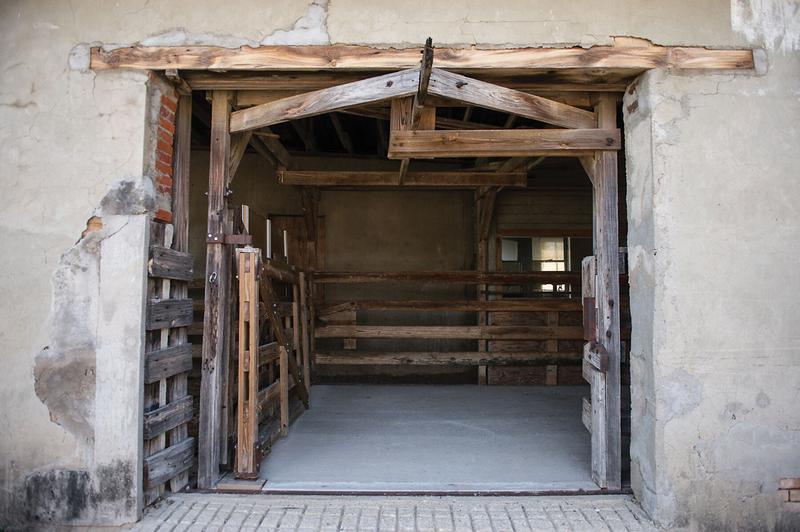 Throughout the early part of the 1900s, the Stockyards ranked among the top five meatpacking markets in the country. Little of that era remains today. Both plants were largely destroyed by fires in the early 1970s. The wood that constitutes large chunks of the structures has been damaged by the elements, and few traces of the beams that once guided animals to slaughter lie intact today. The barns for horses and mules are in bad shape, and the scalehouses (where cattle were weighed) are also falling apart. And that’s how things would have remained if not for Majestic Realty. 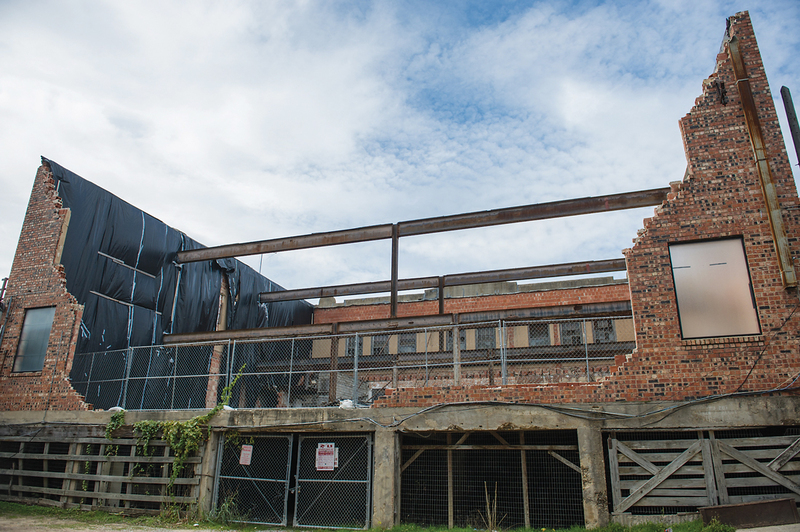 The Los Angeles development company recently unveiled a $175 million plan to refurbish several properties in the Stockyards, including some of the former meatpacking buildings. 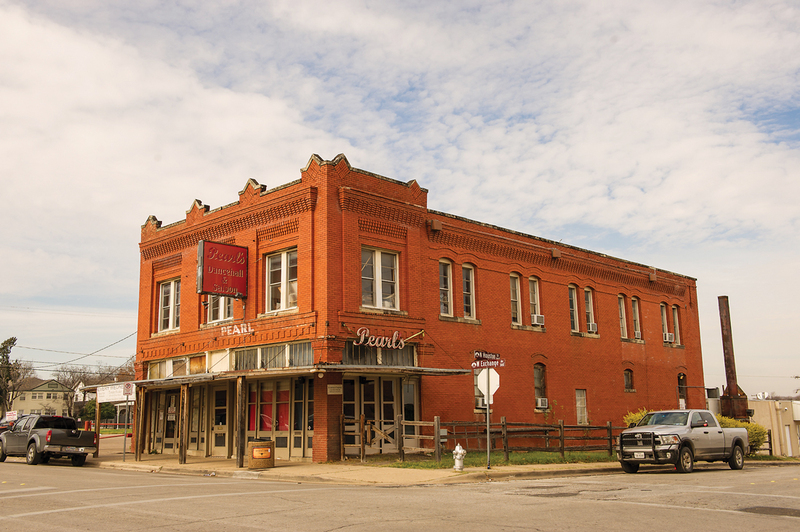 Majestic intends to convert the horse and mule bars into restaurant and retail spaces all while promising to preserve the character of the area. Many business owners and neighbors have welcomed the investment. But not everyone is thrilled, especially considering that Majestic was recently granted 23 of 24 requested demolition permits. 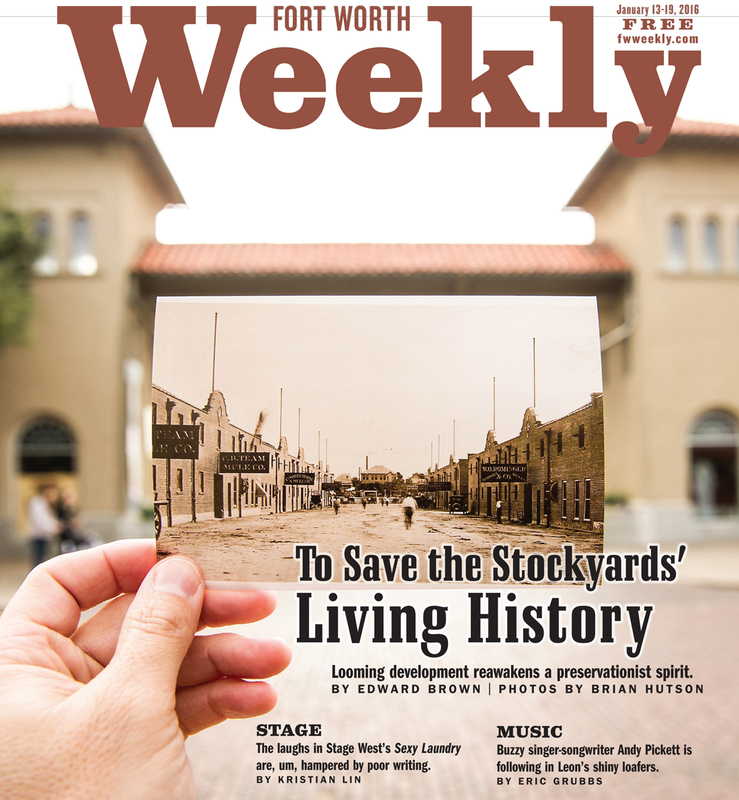 Shortly after city officials approved them, City Council nominated a portion of the Stockyards as a historic and cultural landmark. The designation, if approved by the Historic and Cultural Landmarks Commission and City Council, will ensure that any buildings and structures not set to be demolished are protected. The number of Majestic lovers and naysayers is about the same. For many of the objectors, potential widespread demolition has ignited their preservationist spirit, inspiring them to ask: If all we have left of the Stockyards is a few old black-and-white photos, what do we really have? Last summer, members of Historic Fort Worth Inc. completed a survey of the Stockyards National Historic District (a federal designation, bestowed in 1976). Sixty-nine of the 98 buildings in the 15-square-block area were found to be of “significant historical value,” meaning the buildings have ties to important historical events. Many of the buildings on the list, such as the Cowtown Coliseum and Whiskey Girl Saloon, are familiar to locals and tourists alike. Some of the other listed structures, however, need to be sought out. 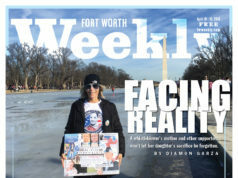 No matter how much they’re worth commercially, they are all invaluable links to the past, according to the leaders of Historic Fort Worth Inc.
Running a block north and south from East Exchange is an abandoned subway that once guided pigs and sheep to and fro without impeding traffic above. Terra cotta tile floors, horizontal pipes, and poured concrete walls adorn the now silent passageways. 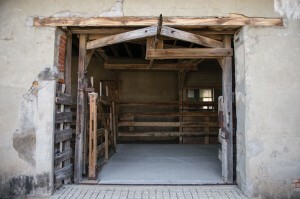 Before ranchers made their purchase, cattle were weighed in scalehouses. Scalehouse A will be preserved by Majestic Realty. Photo by Brian Hutson. Near the north entrance to the subway are three now defunct cattle weigh stations. Scalehouse A is by far in the best shape –– Majestic has pledged to leave it. Inside, much of the original equipment, though caked with rust, remains intact. The two other scalehouses, B and E, are dilapidated and are slated for demolition. To service the area’s growing cattle industry, a commercial district grew just blocks to the west of the Armour and Swift plants. 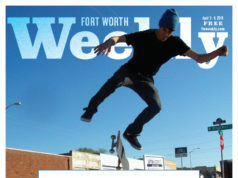 Between 1900 and 1910, Fort Worth’s population tripled, buoyed by thousands of well paying yet sometimes dangerous meatpacking jobs on the Northside. A handful of historic buildings along North Main Street and Exchange Avenue have recessed corner entrances and cast-iron columns, feature characteristics of the time period. Photo by Brian Hutson. 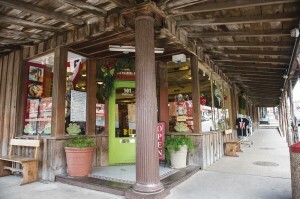 Built in 1906, the O’Keefe-Long Commercial Building is now known as the General Store and Trading Post. The building was one of the first of its kind. The Fort Worth Drug Company (1907-1920) was erected to serve the packing-plant workers and their families. 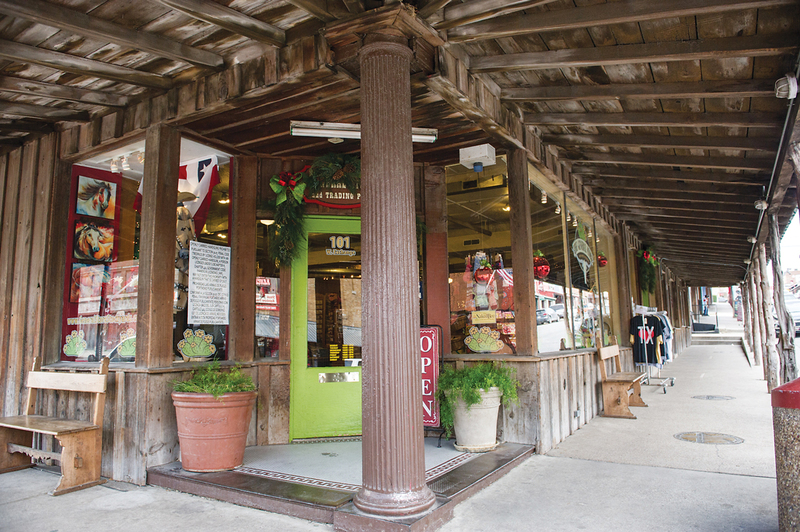 The general store’s design fit the needs of the community and matches the architecture of its time. The bottom floor was reserved for retail while the top floor was used for housing. The recessed corner entrance and cast-iron column are telltale features of the period, and an elevated sidewalk along North Main Street would have spared pedestrians from splashing mud as carriages and horses trotted over the unpaved roads. Located on West Exchange Avenue, Pearl’s Dancehall and Saloon was once a brothel owned by Buffalo Bill Cody. The hall still draws large crowds for live bluegrass, country, and honky-tonk. Photo by Brian Hutson. One block farther west is Pearl’s Dancehall and Saloon, built that same year. The first floor held the Stockyards branch of the Fort Worth Post Office for many years while the top floor provided boarding rooms. During the ’20s, the space was known as the Exchange Hotel and later as Pearl’s Hotel. Originally home to Wells Fargo Express Co., the Old Masonic Lodge is in extreme disrepair. A 2014 storm toppled the building’s back wall, temporarily closing nearby businesses. Photo by Brian Hutson. In 1910, the building now known as the Old Masonic Lodge and Stagecoach Hotel was built at 2408 North Main Street. The now-gutted building, originally home to Wells Fargo Express Co., is but a shell of its former self, but the property’s owners, the Murrin family, are committed to preserving and possibly restoring the structure in the future. The lodge infamously made headlines in 2014 when the back wall was felled by strong winds, causing the temporary closure of nearby businesses. Built in 1910, M.L. Leddy’s has several architectural features characteristic of the early 20th century. A mid-century obsession with the Wild West led to the addition of wood battens above the store’s awnings decades later. Photo by Brian Hutson. M.L. 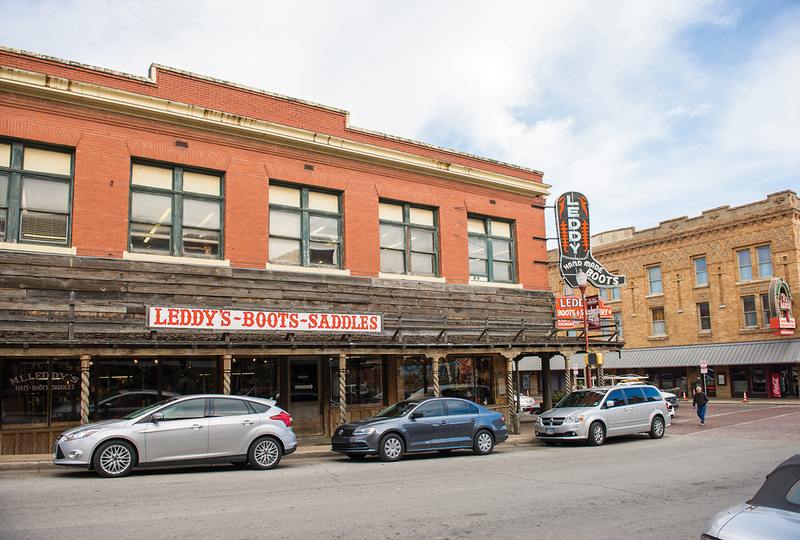 Leddy’s was built the same year as the lodge and is now one of Fort Worth’s most popular spots for custom boots and saddles. 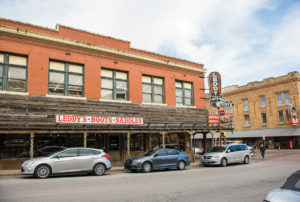 Local historian Elliott “Kip” Wright jokingly describes Leddy’s and nearby Cattleman’s Steak House (built in 1947) as examples of the “faux frontier” look. Fans of American pop culture and cinema were obsessed with the Wild West in the 1950s, he said. Many Stockyards property owners followed suit by placing horizontal wood battens above their stores’ awnings, obscuring the original brickwork. Fort Worth saw another economic boon during World War I. Armies from the United States and their allies visited Cowtown to purchase horses and mules for the war effort. 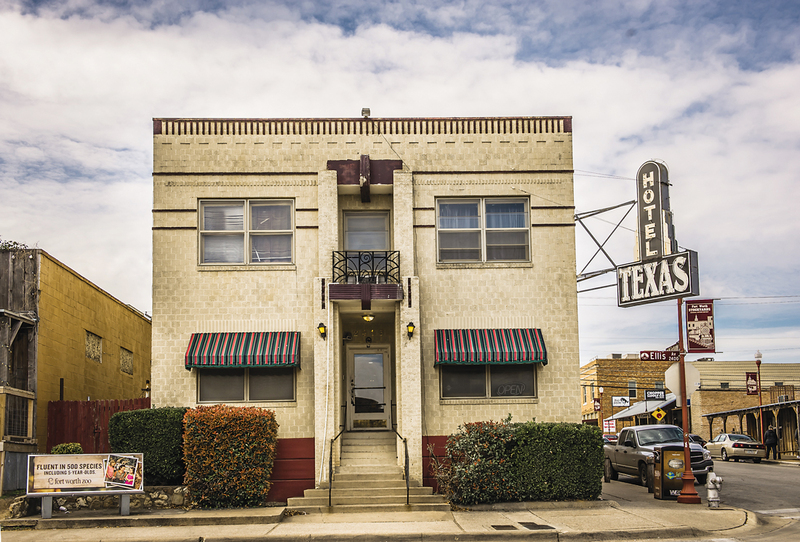 Built in the late ’30s, decades after Fort Worth’s first commercial buildings went up, Hotel Texas is a rare example of a largely unchanged art deco building. Not every historic building was constructed at the turn of the 20th century. 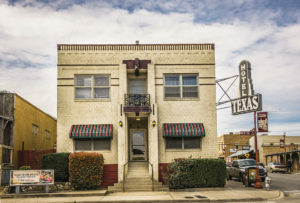 In 1939, Hotel Texas (formerly the Exchange Hotel) was built. Wright says it’s an unadulterated example of art deco-inspired architecture from the time.